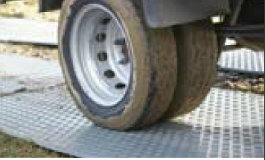 Ground protection for the Construction, Mining and Civil Engineering industries. 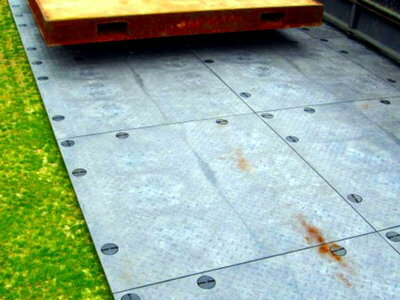 Centriforce Groundmate is a new ground protection system developed to preserve sensitive ground from machinery, vehicles and pedestrian traffic. Manufactured by Centriforce from 100% recycled polyethylene, it is reusable – again and again – and is fully recyclable after use. 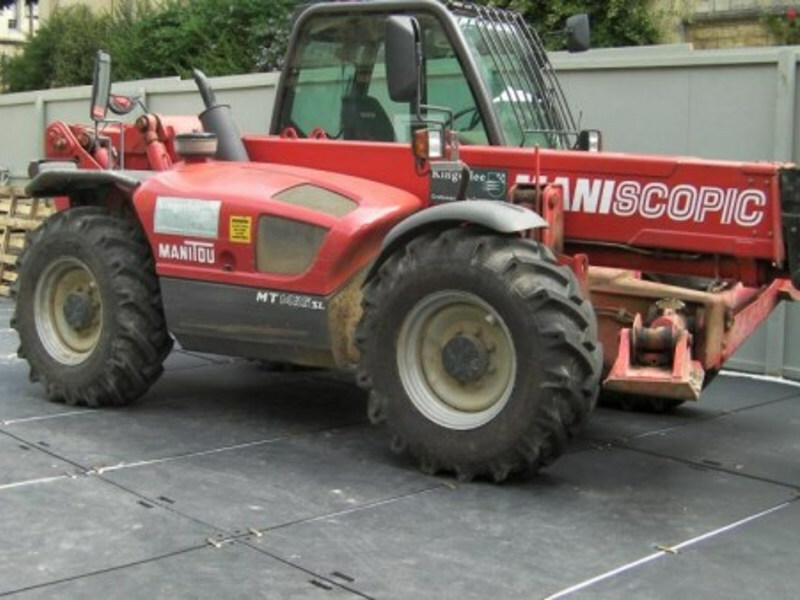 Groundmate ground protection mats provide incredible value and efficient groundcover. 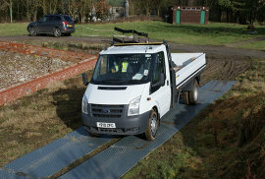 Suitable for pedestrian and medium to heavy weight vehicular traffic. 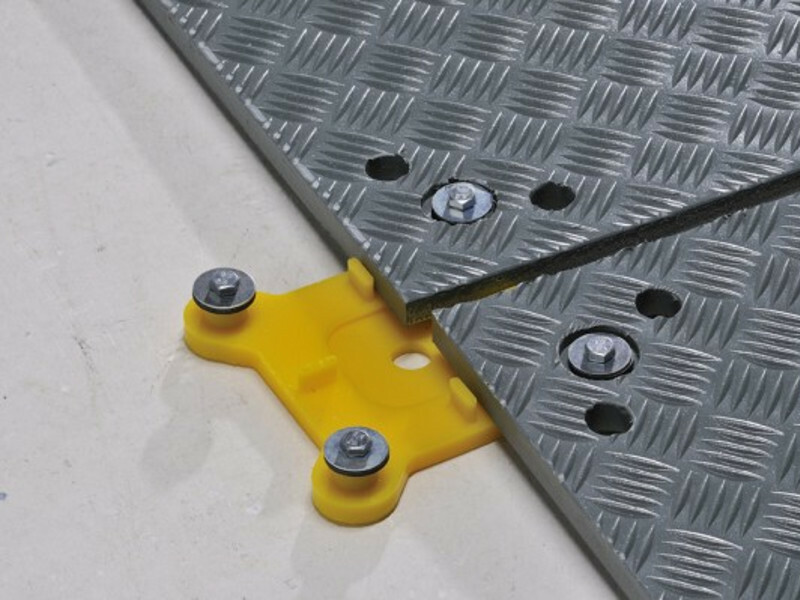 It is currently available in grey with an anti-slip tread pattern finish on one side and a ‘diamond embossed’ finish on the opposite side. 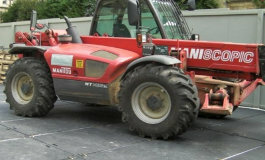 UK manufactured from 100% recycled polyethylene. 100% recyclable. Optional: 2 and 4-way connectors; top hat connectors; dragging hook. 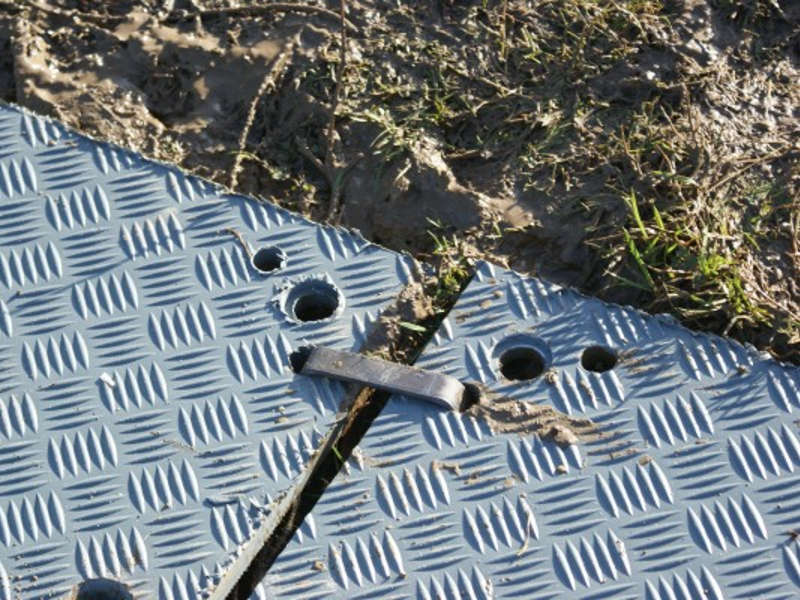 Groundmate ground protection is supplied with pre-drilled holes to allow easy connection and fixing. 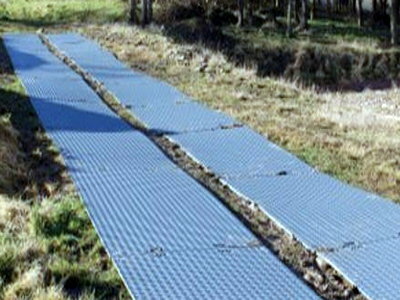 The panels can be laid longitudinally and/or horizontally and be connected using either specially developed 2-way and 4-way Groundmate connectors or standard ‘top-hat’. 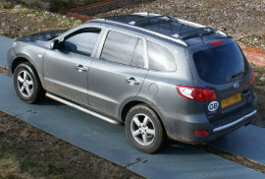 Groundmate access mats can be easily lifted or dragged into position by two people using the pre-formed hand-holds. 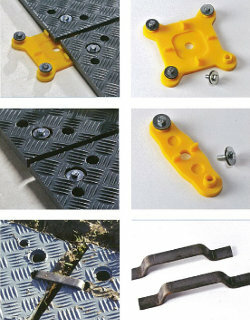 A ‘dragging hook’ is available to aid installation.